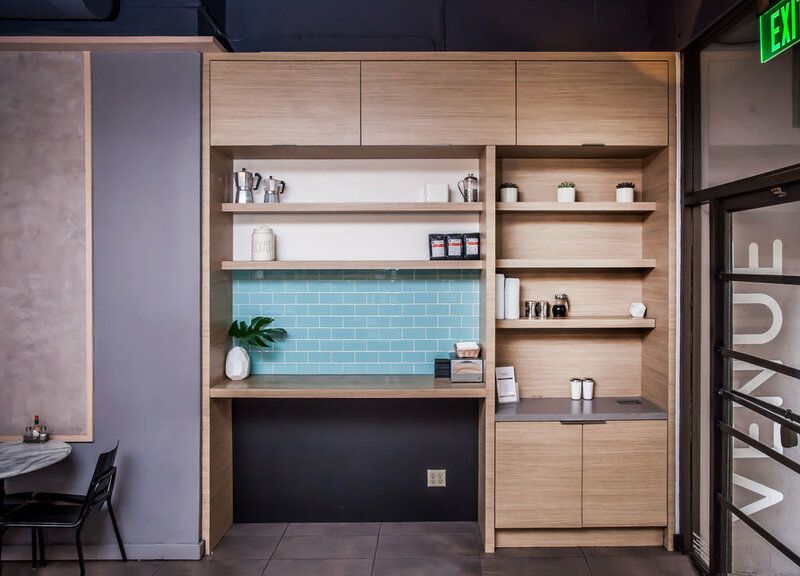 A downtown San Francisco cafe gets an modern update to their interior and branding. The owner hired us to modernize the 2,400 sq. ft. interior of the fast-casual lunch spot without alienating their loyal customer base. 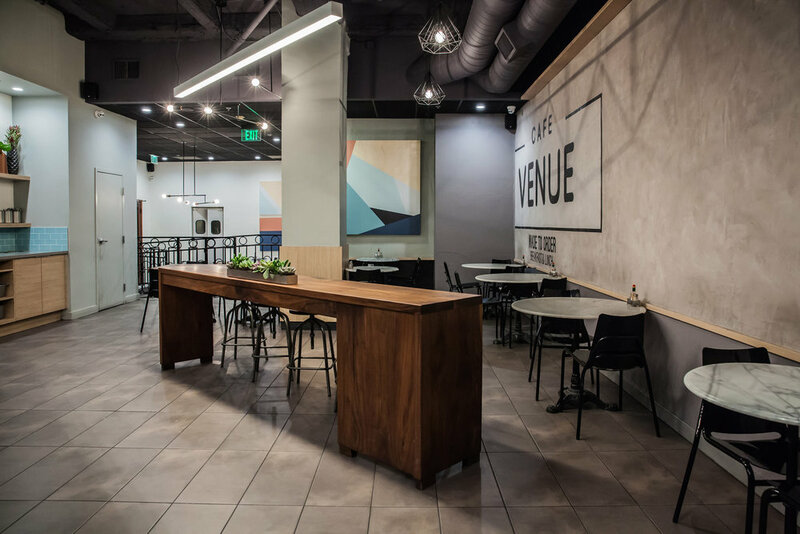 Our design solution preserved the warmth of the space and integrates new branding with interior elements. Examples include the logo mural, wall decals, and menus doubling as cabinet doors at the cashier station. 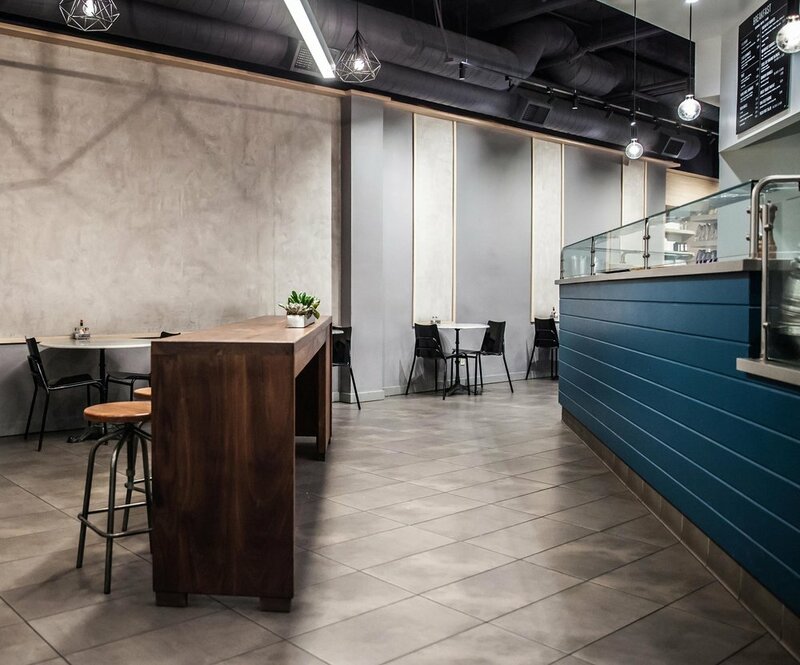 The warm, monochromatic color palette features pops of color purposefully placed to direct customers to key functions such as the blue panelling at the service counter and waste stations highlighted by aqua backsplashes. Ceilings were exposed to highlight the interior architecture of the space. New furniture is introduced with a new, flexible layout to create defined seating areas. The result is an experience that is uniquely Cafe Venue and served as a design prototype for the other two locations.